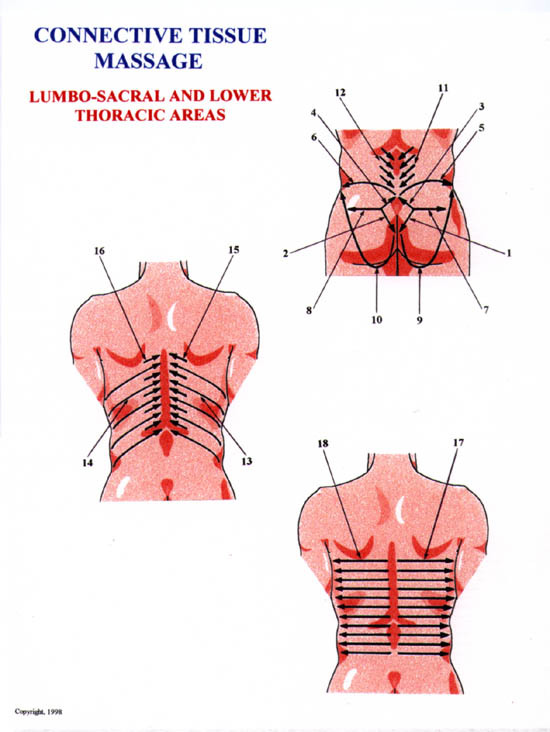 We developed this set to make clinical application of connective tissue massage easier. 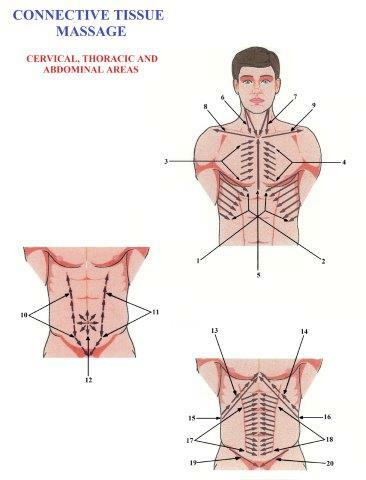 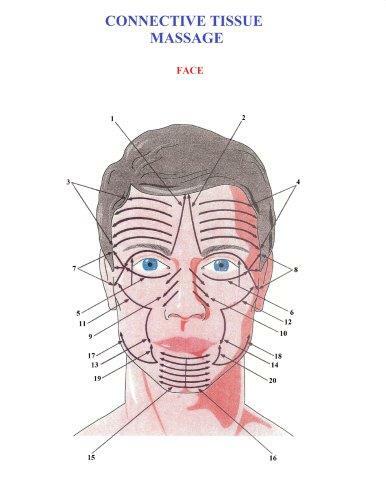 Each diagram represents a part of the human body and shows the correct direction, sequence and length of massage strokes. 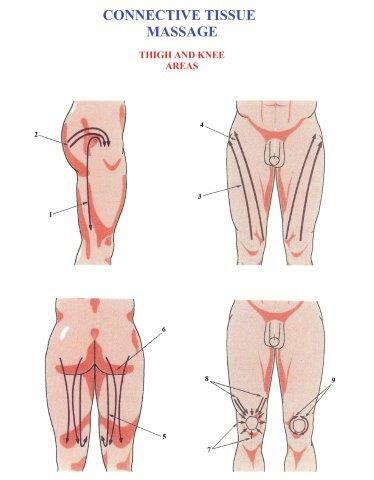 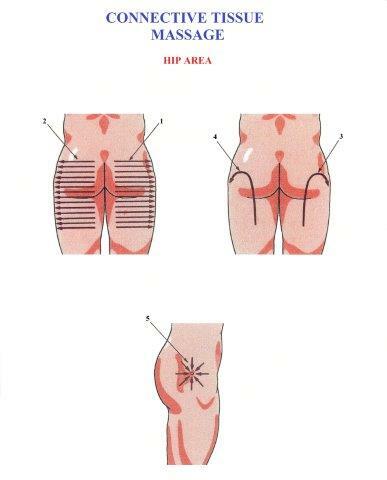 Connective tissue massage has unique protocol. 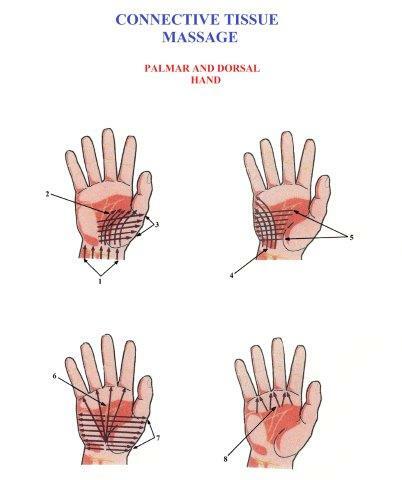 During decades of clinical application of connective tissue massage its founder, E. Dickle, and her followers established the optimal sequence of massage strokes as well as their directions. 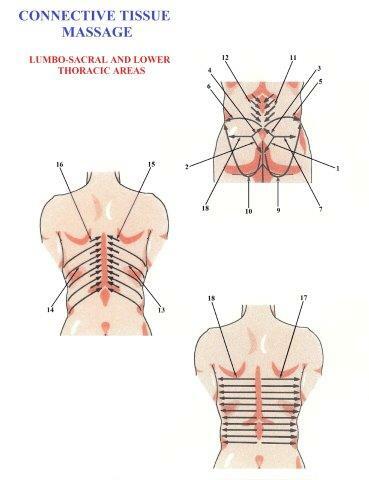 Thus, to obtain the optimal therapeutic effect of connective tissue massage, the practitioner has to obey rules of its clinical application. 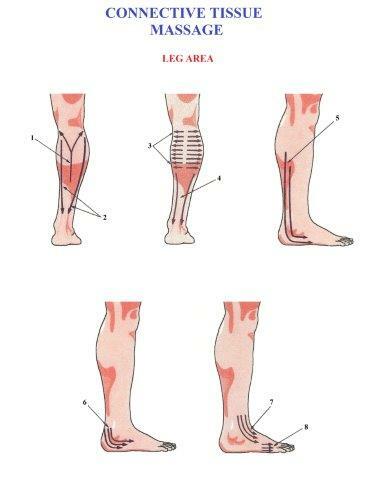 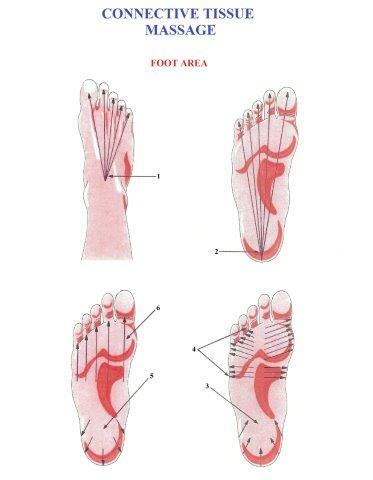 However, it is difficult to remember all this information for each segment of the body. 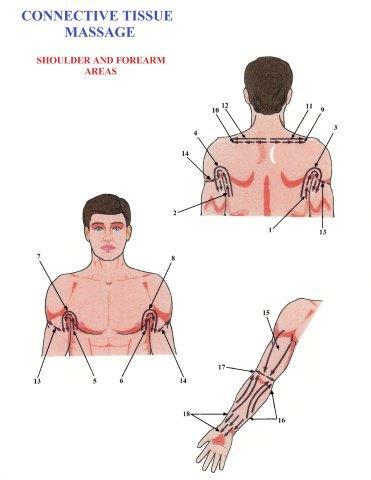 This is especially hard when the practitioner has just started to practice connective tissue massage. 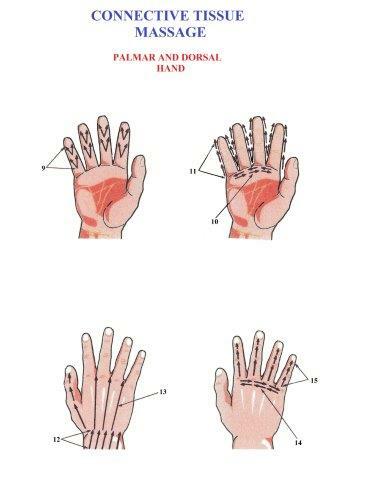 We developed this set to make clinical application of connective tissue massage easier. 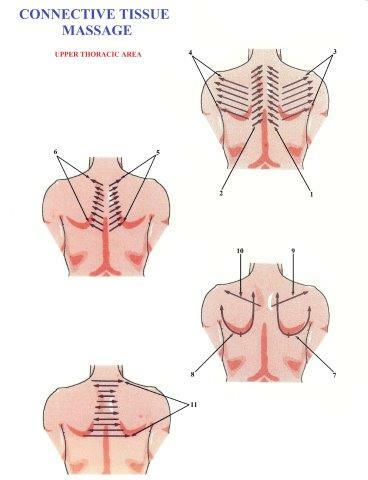 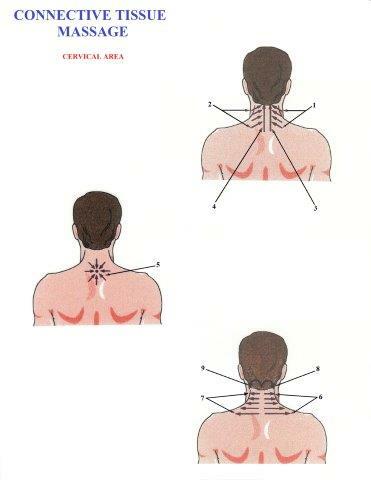 Each diagram represents a part of the human body and shows the correct direction, sequence and length of massage strokes.